Meet Graham; Muckrach’s Senior Sous Chef. A Chef with a passion for using the best local ingredients and a drive to develop a tantalising menu that leaves you wanting more. At 31, Graham has a plethora of experience under his belt both in the kitchen and in the world. He grew up on a small holding in Shropshire surrounded by the family’s goats, chickens and sheep. By 14, Graham worked as a Kitchen Porter in a cafe, it was from here that his passion for the kitchen began. After studying Film at university he fell into a restaurant job and his career began. Graham trained Chefs and management in kitchen training in a restaurant chain until he caught the travel bug. Graham’s travelling took him to some of the most beautiful corners of the world; 6 months in Hong Kong, New Zealand and a tour of South East Asia, followed by Winter and Summer seasons in France as a Chalet Host & Chef for a property hosting up to 15 people. Graham’s love of mountain biking, skiing and boarding were fulfilled during his time in France, which naturally led him to the Aviemore area when he visited, stayed with friends and then never really left! Now in the Cairngorms National Park, Graham loves skiing and boarding in the Cairngorm mountains and biking at Laggan Wolftrax. 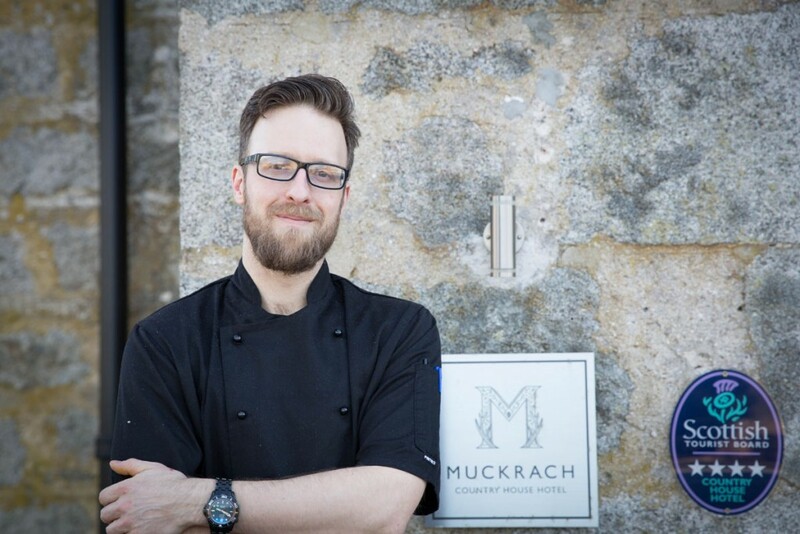 Having helped to set up restaurants in Aviemore, Graham was ready for a new challenge and that’s where his move to Muckrach has begun. Graham’s experience in kitchens combined with his travel experiences ensures that his menu ideas bring a twist to them. He loves Asian Food because it is so fresh and how subtle changes of spice change the flavours. Working with Rayner and the team is rewarding, as they develop basic ideas with fresh ingredients creating great dishes together. Look out for the Pan Fried Cod Loin on the Spring menu; Graham has put together a dish full of flavour. The Pan Fried Cod Loin is served on potato, leek & smoked haddock terrine, salsa verde with buttered leeks and peas. Book now for Lunch, Dinner or Afternoon Tea.